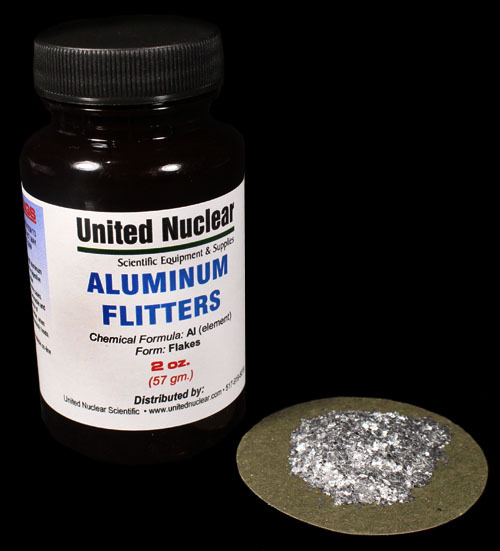 Coarse aluminum flake (flitters), approximately 20-80 mesh. Aluminum is a chemical element; atomic number 13. This is a technical grade product for special effect and pyrotechnic applications. In pyrotechnics, it is used to produce bright white, long lasting sparks. Also used in some high power, composite rocket fuel formulations, fountains, and waterfall firework formulations.